As a research centre dealing with peaceful applications of radioactivity, SCK•CEN is an indispensable part of our society. We perform forward-looking research and develop sustainable technology. In addition, we organise training courses, we offer specialist services and we act as a consultancy. With more than 750 employees, SCK•CEN is one of the largest research centres in Belgium. 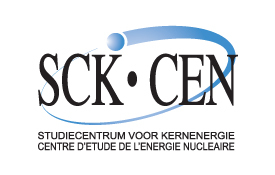 SCK•CEN plays an important role in space research in the fields of radiation dosimetry, human biology and microbiology. We collaborate with ESA and other European partners in various international projects.